We’ve all seen those smiles haven’t we? At the awards ceremonies, on the red carpet of film premieres, on television chat shows – everyone, and we mean everyone, seems to have perfect teeth and a perfect smile. It isn’t all down to luck you know. Those glamorous smiles are more than likely the result of expert cosmetic dentistry and the good news is that you don’t have to travel to Los Angeles to achieve that lovely look, because one of the UK’s leading cosmetic dentistry clinics is located right here in Manchester. At Carisbrook Dental, in addition to our full range of dental treatments, we also specialise in providing a variety of cosmetic dentistry procedures. Often these are used to correct dental imperfections or to treat damaged or lost teeth, but today more and more patients are coming to Carisbrook because they simply want to have the most beautiful smile. Here is a brief catalogue of the cosmetic dentistry treatment we provide. We can replace unsightly metal fillings with virtually invisible white fillings to enhance your smile. One of Hollywood’s most sought-after cosmetic dentistry procedures, porcelain veneers are custom made shells of porcelain that we fit onto the front of your teeth. Even the most deformed or worn teeth can be transformed to create that celebrity smile. Reshaping your teeth will vastly improve your smile. 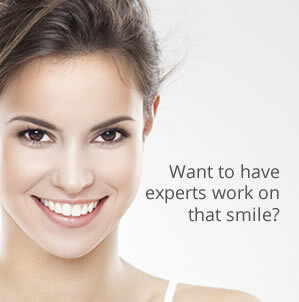 We can smooth, shorten and level your teeth to create a more uniform and natural appearance. Now if you also include orthodontists treatments to correct misaligned or crooked teeth or dental implants to replace damaged or missing teeth, it is easy to see just how Carisbrook cosmetic dentistry can help you enjoy the super smile you’ve been dreaming of. There is no need to travel to Hollywood, contact us now to discuss how we can help you achieve your perfect smile and to learn more about our special offers on orthodontics, teeth whitening and dental implants. You can call us on 0161 951 7295 or alternatively you can contact us by using the online form on our Appointments page.